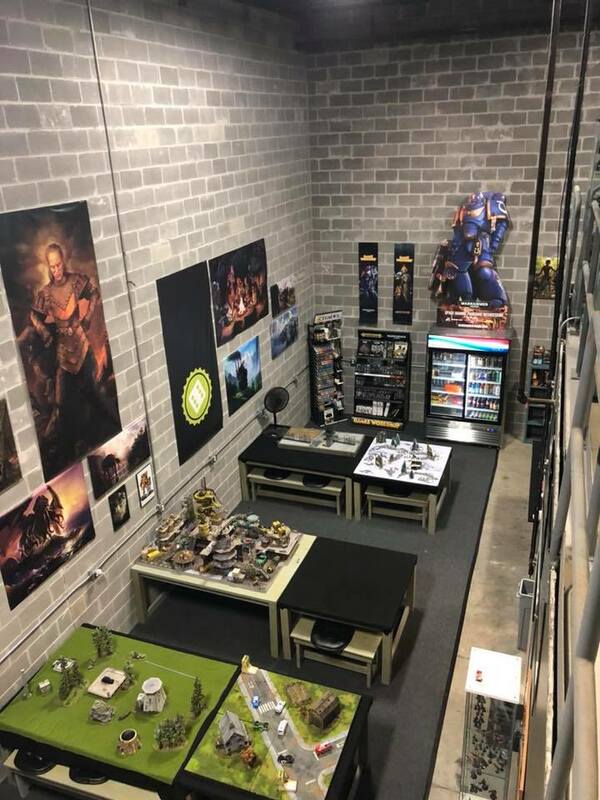 Your new favorite place to game, paint, and campaign. Welcome to your new home for chill, high-quality gaming. Being a BBG Member is like having access to a mini convention, every day. We pay attention to the little things, like high quality terrain, a selection of games you actually want to play, a varied events calendar, and BYOB drink policy complete with rotating kegs on tap. Whether you're a full Member or just visiting for a full day of quality gaming, Board & Brew is always ready for you to let loose and game on. Calendar of Events coming soon. Build your battlefield and customize your immersion with our completely modular tables and professionally-built & painted terrain. 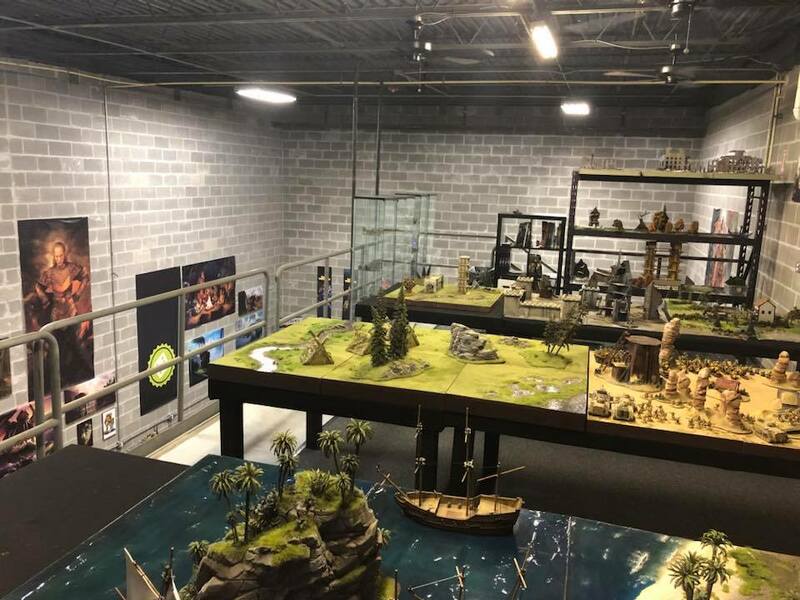 With our growing collection of painted armies and figures from a range of popular game titles, you can try a new game - or a different list - right away, without the investment. Game on. Our custom-built tables display your game beautifully and provide plenty of space to spread out character profiles and tokens, reach across the board, and still keep a beer or two within reach. With Kickstarter exclusives, traditional games, old school games and new classics in all genres, we have something for just about everyone. Plan your next campaign with us - on a nice big wooden table with enough space for the whole crew. We welcome campaigns of all sizes, and encourage you to get comfortable & immersed. Flex your hobby love the way you've always dreamed, on your own schedule. Stop by BBG to work on your new model -- or the backlog of your mini stash you really need to finish painting and assembling.